This $1,000 Scholarship opportunity is open to all Senior Varsity Football athletes who plan to attend college. Special preference will be given to those athletes who have not received a full-academic or full-athletic scholarship. In addition, although not a requirement, those who plan to continue playing football and those who will be attending Texas Tech University or University of Mary Hardin Baylor will be given preference. Ryan's parents, Pat and Michelle Murphy, have partnered with RRISD Partners in Education to provide this scholarship. and Lee Penland about the Ryan Murphy Scholarship and the question: "Did you get better today?" in this You Tube podcast. Ryan Murphy played football the same way he lived life…..with a bold confidence and a level of energy that inspired his teammates and frustrated opposing coaches. Ryan was never more alive than in those moments he spent on the football field. He was born for Friday Night! While most people tend to shrink under the bright lights and the attention it brings, Ryan would thrive….and shine….and carry his teammates with a joyful enthusiasm that was infectious. Watching Ryan play was like watching an artist at work. It seemed so effortless that you might assume that it all came easily for him. But it didn’t. Ryan was a gifted athlete for sure. He had the kind of sprinters speed that simply couldn’t be coached….it was a gift. But make no mistake, Ryan worked tirelessly each and every day so that on Friday night, he could simply let go…and just play. He wouldn’t just run routes in practice, he would simulate the game…each time….in his mind….and score, celebrate and do it again. He trained both his body and mind to expect success with a singular focus that’s rare in adults, much less Teenagers. And it was fun to watch. Ryan attended McNeil High School from 2009-2013. As a Junior in 2011, Ryan made Second Team All District at WR and Kick Returner. As a Senior in 2012, Ryan was a Unanimous First Team All District WR and First Team All District Kick Return. (The ONLY player selected First Team in 2 positions for District 16-5a). Ryan’s speed also helped the McNeil 4x400 Relay Team reach the State Track Meet in 2013. 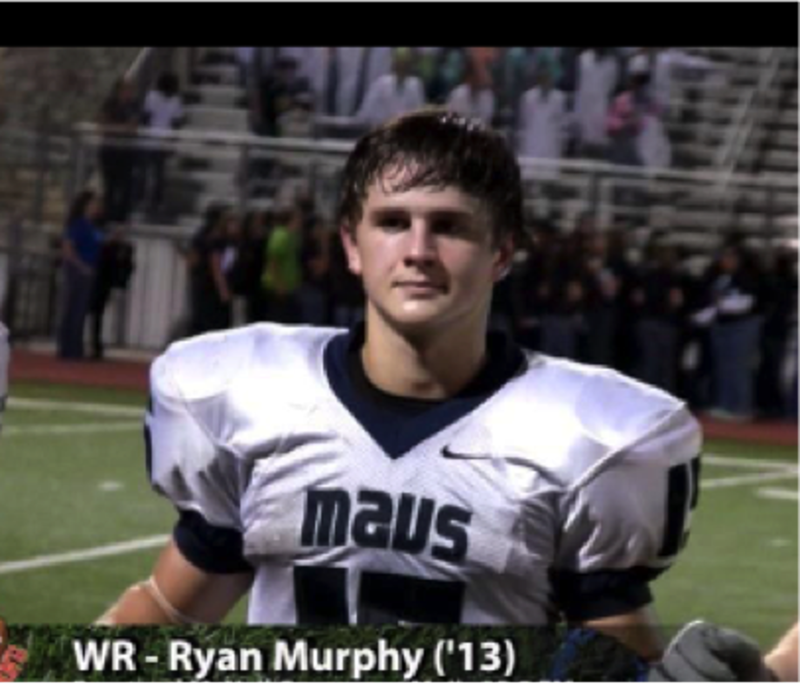 Upon Graduating from McNeil, Ryan received a Scholarship and continued to play football for Mary Hardin-Baylor, one of the most successful football programs in the country. As one of the few Freshmen to see the field for the Crusaders in 2013, Ryan played in 8 games, catching 9 passes and 1 TD in a 13-1 season ending in the Div. III Semi Finals for the Belton school. With a bright future ahead at Mary Hardin-Baylor, Ryan instead chose to follow his heart to Lubbock and his beloved Red Raiders. Ryan’s dream was to play football for Texas Tech, and he was expecting to walk on in 2015. And even though he had to sit out the 2014 season, he kept himself motivated with the same singular drive and determination that served him so well at McNeil. 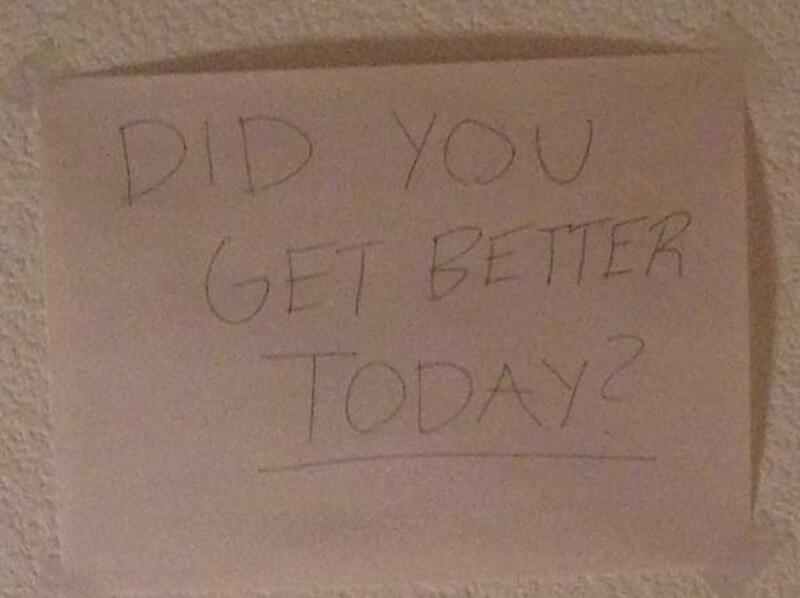 The following hand written note was found taped to the ceiling above his bed, “Did You Get Better Today?” Ryan would’ve played…..because he was driven to get BETTER each and every day….and he would’ve shined…because that’s all he knew how to do. Sign that hung on the ceiling of Ryan's bed at home. In addition to the scholarship, there will be a SEPARATE Team award that will be given each year at the annual banquet. This Ryan Murphy Teammate award will be voted on by the Varsity football team for the one player that best exhibits the characteristics of being a good Teammate. Reliability, Positive attitude, Actively participates, Trustworthiness, Selflessness, Respectfulness, Good Listener, Involves others, Coachability, and Encourages others.